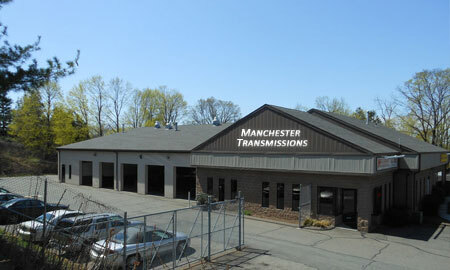 Manchester Transmissions was established in 1964 by Malcolm J.Kerr, whose dedication to quality and detail thrived for 38 years. In Oct 2002, the business was sold to long time employees Jay A.Weinberger, Service Manger and Lincoln D. Eisler, Rebuilder. Our rebuilders are ASE certified and have a combined experience of 37 years in the transmission industry. We are technically and physically equipped to handle most vehicles from the 50's to the present. Our R&R technicians know that transmission removal and installation in today's hi-tech vehicles is like major surgery, and they are dedicated to reassembling your car with care and attention to detail. In the front office, Jay is constantly dedicated to our goal of customer service and satisfaction. He is in touch daily with parts suppliers to obtain the best quality parts, and keep in touch with customers to keep them abreast of the status of their vehicle. ATRA technical service is available online and is used often to keep us informed of any upgrades needed to make your transmission last longer, perform better, or just be the quality product we at Manchester Transmissions are committed to produce. 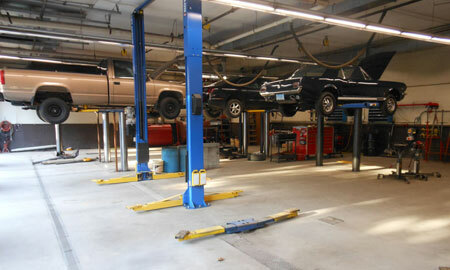 If you're in Hartford County Connecticut and need transmission service, give us a call. Serving the towns of Avon, Amston, Andover, Ashford, Bloomfield, Bolton, Broad Brook, Colchester, Columbia, Coventry, Granby, East Hartford, East Windsor, Ellington, Enfield, Farmington, Glastonbury, East Hampton, Hartford, Hebron, Mansfield, Marlborough, Middletown, New Britian, Rocky Hill, Rockville, Simsbury, South Windsor, Stafford Springs, Storrs, Suffield, Tolland, Vernon, West Hartford, West Suffield, Wethersfield, Willington, Willimantic, Windham, Windsor, and Windsor Locks to name a few.